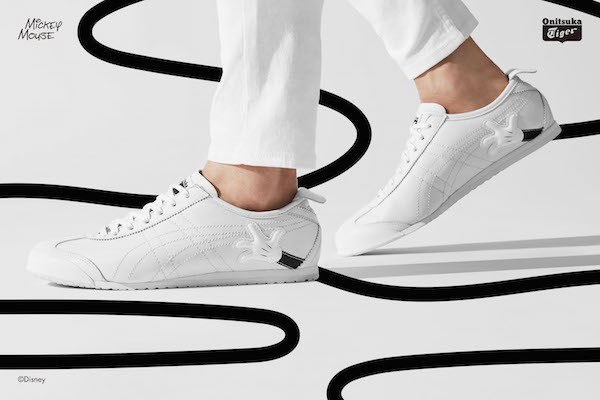 Move your feet to the Mickey Mouse March with Onitsuka Tiger Japan’s new collaboration that’s set to excite the young-at-heart. 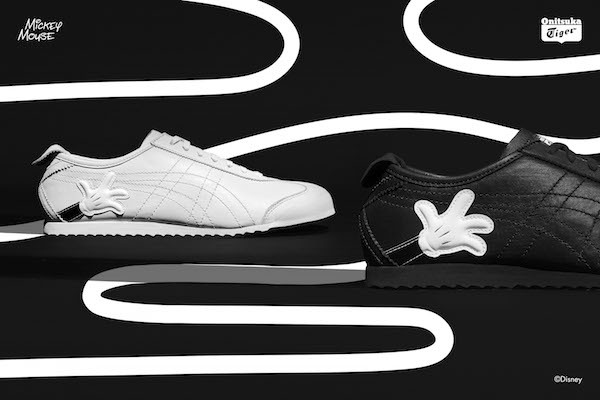 The ‘DISNEY x Onitsuka Tiger’ footwear collection channels Walt Disney’s mainstay characters, ‘Mickey’ and ‘Minnie’, without appearing too childlike. Featuring a red, black, and white color scheme inspired by the duo’s outfits, the collection consists two styles on two different silhouettes that are punctuated by subtle Disney motifs. 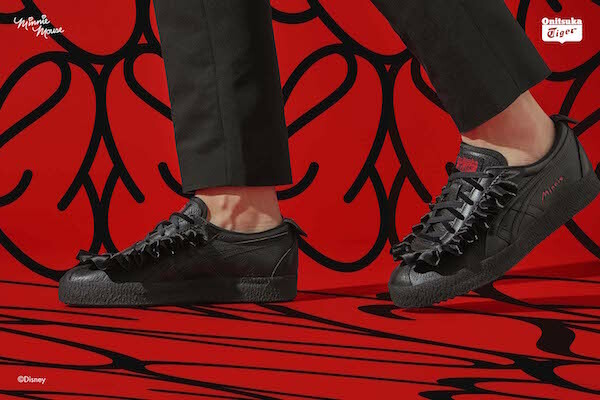 The ‘Minnie Mouse’ design, which appears on the ‘Mexico Delegation’ shoe, features a satin ruffle around the laces that pay homage to the hem of the character’s skirt. 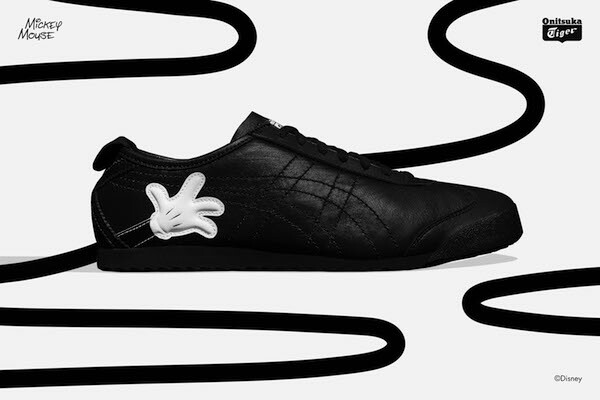 The pared-back ‘Mickey Mouse’ version has his gloved hands hugging the heel uppers of the ‘Mexico 66’. 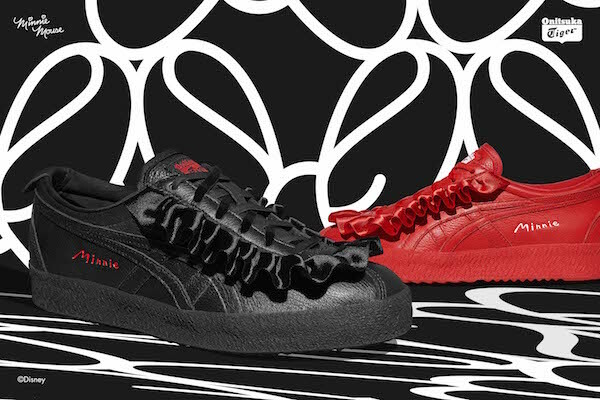 Retailing at JP¥15,000 (US$142), both shoes come in sizes for men and women and are available in colorways ‘White x White’, ‘Classic Red x Classic Red’, and ‘Black x Black’. 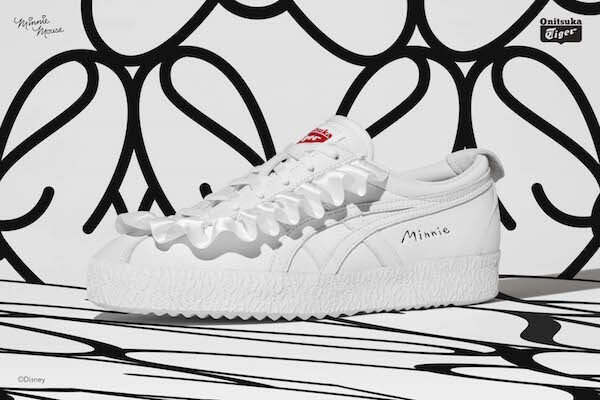 Onitsuka Tiger Japan will release the ‘Minnie Mouse’ sneakers first on 2 March 2018 on the brand’s website and at select stores, while the ‘Mickey Mouse’ footwear will launch online and in Onitsuka Tiger locations across Japan on 10 March 2018.